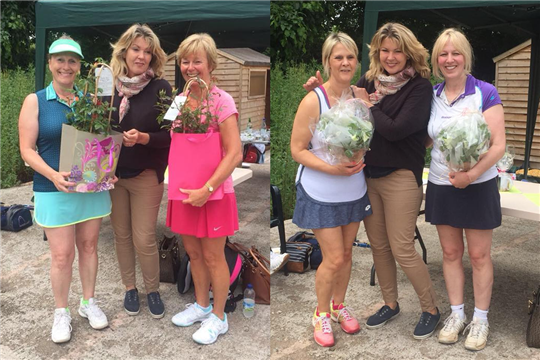 The Ladies Open was well attended by local clubs as well as Ombersley Tennis Club Members. Thanks to Petra for organising a great morning of tennis followed by a super lunch. Over all winners were Helen Walter and Tracy Billingham from Stourbridge, with Gail Hughes and Karen Allison from Ombersley runners up. Drene Baker and Fiona Bates from Ombersley also received a prize for achieving the second best score.